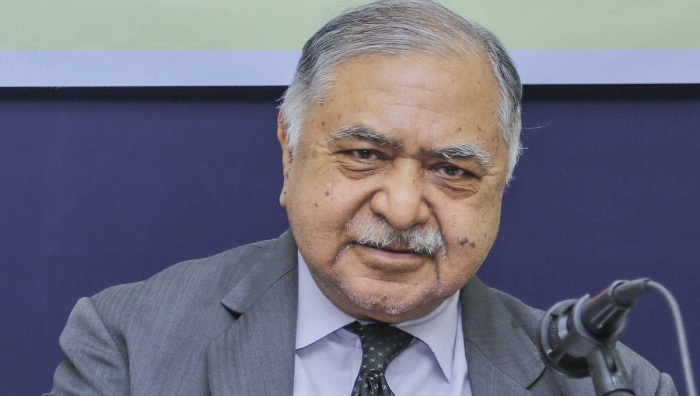 Dr Kamal Hossain’s Gano Forum will form a human chain programme in the capital on April 1 to push for its 14-point demand for ensuring safe roads and restoration of discipline in the transport sector. The programme which will be held in front of the Jatiya Press Club is also meant for registering the party’s protest against the government’s move to hike gas tariffs. Gano Forum general secretary Mostafa Mohsin Montu announced the programme at a press conference at the Jatiya Press Club. “We took to the streets demanding safe roads earlier when students waged a movement to this end. We’re also going to form a human chain from 3pm to 5pm in front of the Jatiya Press Club on April 1 with the same demand in line with the students and youths,” he said. Through the programme, Montu said, they will also protest the fresh proposal for raising gas tariffs. He urged the people of all walks of life, including students, to participate in the programme and make it a success. Gano Forum’s 14 demands include, upgrading the transport sector-related laws and ensuring their proper enforcement, making the sector free from political influence, enhancing the skills of drivers through training, fixing specific wages and working hours for drivers, ensuring punishment to those transport owners and workers responsible for road accidents, introducing the new franchising bus service system, removing unfit vehicles from the streets, conducting continuous drives against fake and unskilled drivers and creating a specific lane for public transport and enhancing the quality of their services. The party also demanded security on the roads in front of the public and private hospitals, installing footbridges and having speed-breakers on roads in front of educational institutions, stopping extortion in the transport sector, creating a fund with the supervision of a regulatory body for the victims of the road accidents and taking suggestions from experts and giving priority to people’s interests in constructing roads and bridges and working out transport strategies.